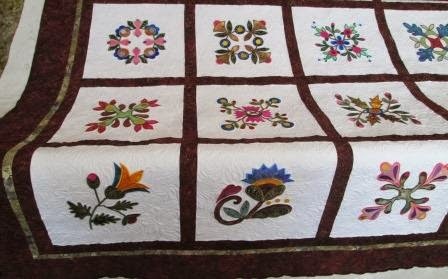 I have a few more quilts I have done for my customers that I need to show off. 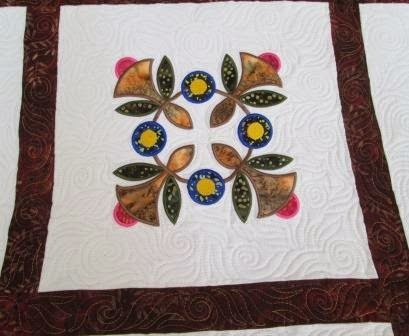 One friend worked last summer do the machine applique on this quilt then left it with me to quilt well she was down south for the winter. 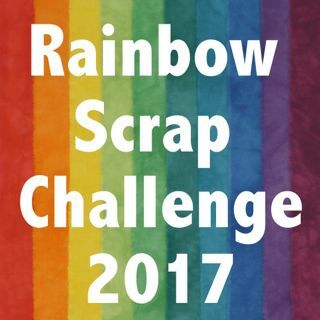 So this was done a while back I just forgot to make a post about it. I just love her work. Every part of this quilt was so well done. It ways makes my work easy to work on her work. 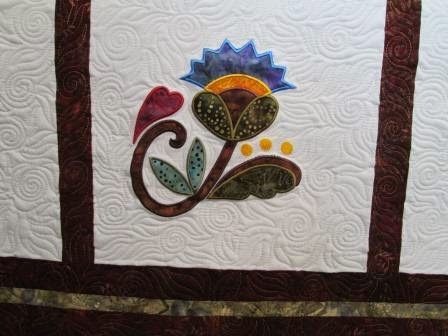 This side view shows off the quilting a bit better. 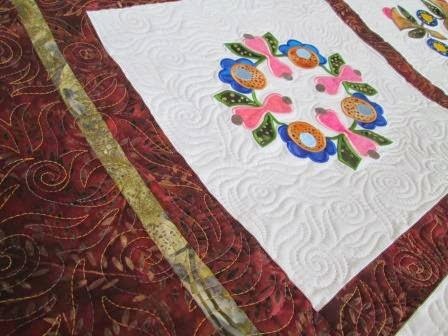 I still have so room to do more machine quilting this summer. So if you need a top quilted just let me know. I have many flowers blooming in my garden. 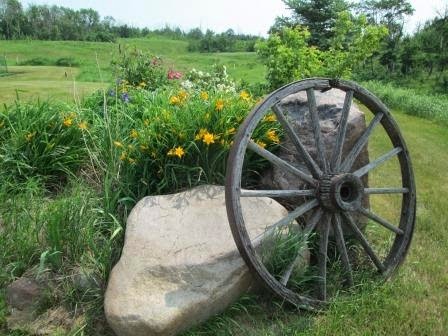 I took a quick photo of my large rocks and wagon wheel. I have a white rose flowering in the back there. It is so smelly. To do not for get to stop and smell the roses today.